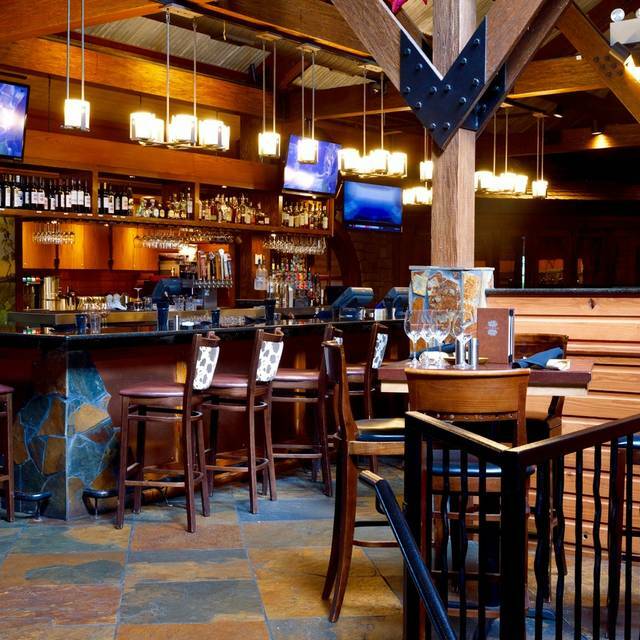 Friday and Saturday evenings on our all-season patio. 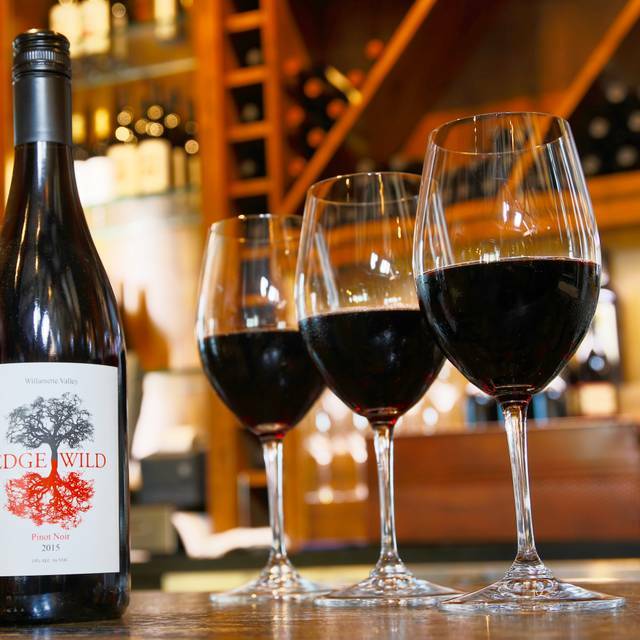 Located in the heart of Chesterfield, EdgeWild is a modern casual restaurant serving affordable American fine wines with inventive American cuisine. Light portioned entrees and salad combos available during lunch hours Monday through Friday. We also offer gluten free menus upon request. Excellen, attentive but not fawning, wait staff served up a fantastic meal. From appetizer to entry food was prepared and pressed to perfection. Our family of 7 enjoyed great service from Jessica and wonderful food. The noise level is a bit loud but we would still highly recommend it. 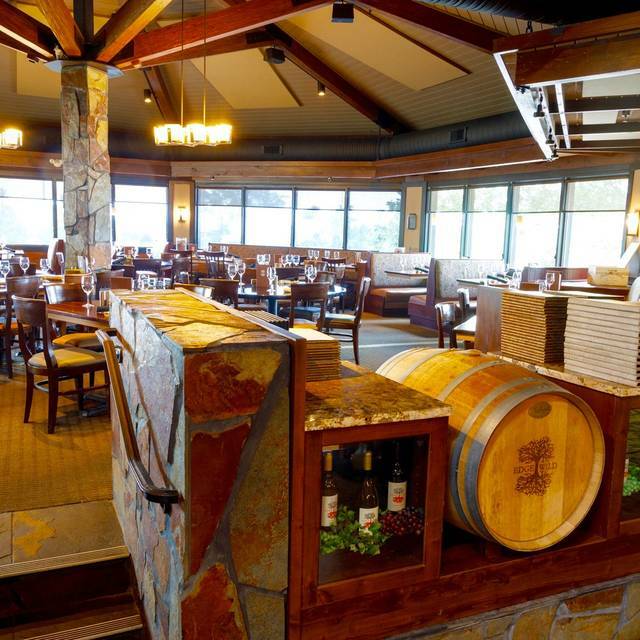 This is one of my top go to business meal lunch restaurants in West St Louis county. Just right portions for lunch, nice surroundings and wait staff is awesome. Outstanding wait staff. Attentive but not hovering. Food and wine choices are excellent. Can't wait for our next visit. Really nice restaurant just outside of St Louis. Great food, I had forest mushroom soup and a great salad with grilled chicken. My husband loved his medallions of filet mignon all 3 with different sauces. 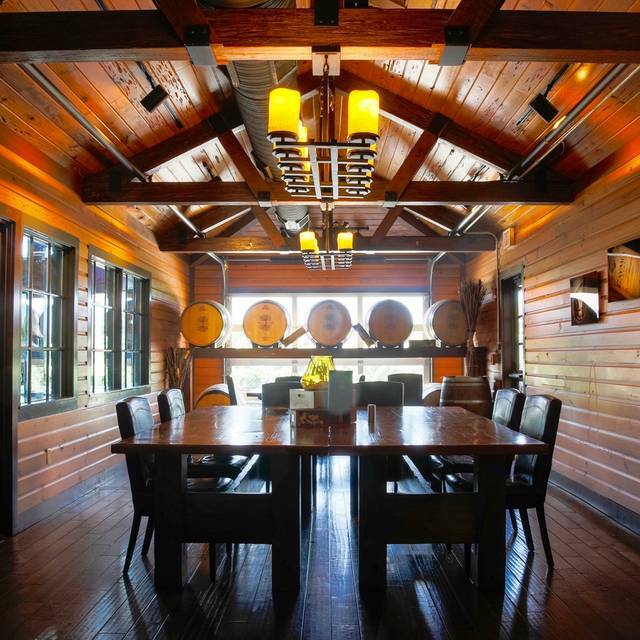 It is a Winery also and we found their Red blend to be excellent. Nice atmosphere also. It was my 73rd birthday. I have no complain at all apart from a bit of noise...we will go back even if I do not like the wine. I asked for Sangria as my second drink because the first one wasn’t as exciting,but it doesn’t have anything much apart from the cherry at the bottom of the glass. The Sangria at Applebees is so much better than what was given me. Apart from that, we had a good service, the food is good, the place is really nice. We will be back. 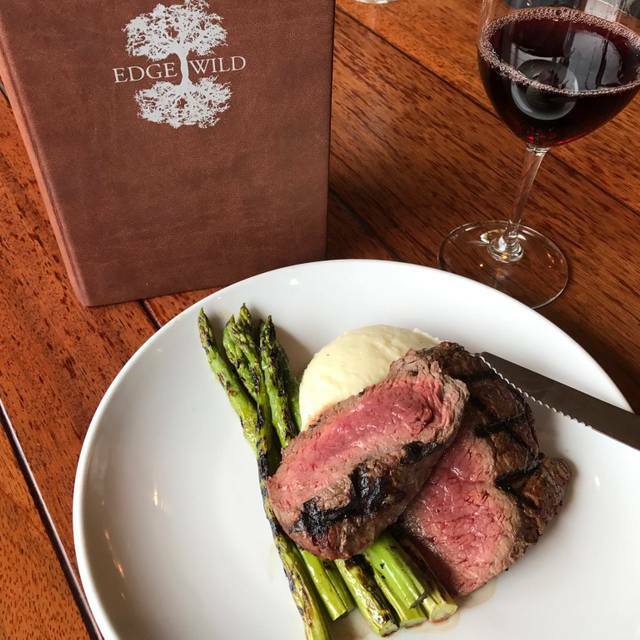 EdgeWild is a beautiful restaurant with great service! Connor was an outstanding server, kind, quick, and very helpful! We were not an easy group and he put up with us! Also the hostess team was very friendly! Thank you for a great evening! The volcano had delicious flavors but was a tad dry. 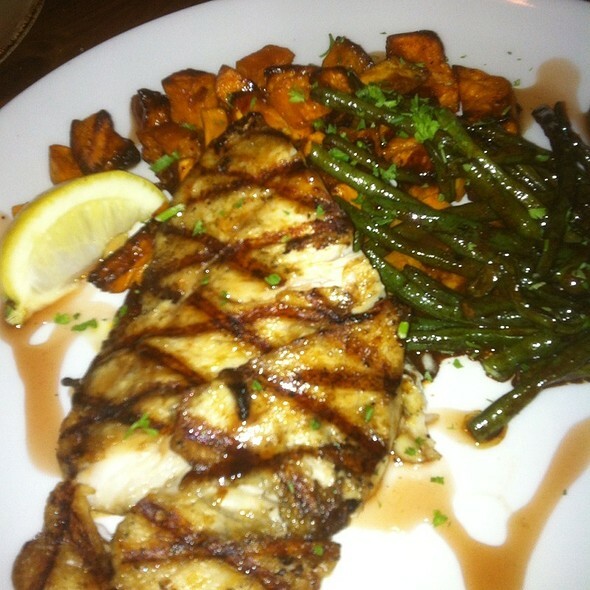 The food was excellent, the service was friendly and fast. The wine, drinks and food were very good. Our waitress was very attentive and all of the orders were correct and timely. She was just a little sarcastic at times. I think she was trying to be funny but it didn't come off that way. She has great waiting skills and provide timely service though. Overall, always a good consistent establishment. However, one of the people in our party had the Italian sausage orecchiette and there were so many red pepper flakes in it, she couldn’t eat it. I have been here several times. Always a positive experience. Our server was wonderful with us and our 5 kids. Great food and wine. Everything was great. Food was ok, nothing really stood out as being excellent. Had the beef tenderloin medallions, which were a bit flavorless. Creamed spinach wasn’t edible, tasted as if someone just put flour and milk on it. Service was good. Waiter was attentive and we received everything we ordered in a timely manner. Should I ever go back, I’ll order something different. We met some friends there that we haven’t seen in a while. Our table was in a great spot and we got to enjoy a cocktail before ordering an appetizer and our food. Of course, since we kept yapping catching up with each other, we were hardly ever ready when our waitress came by. She was awesome and patient!!! We ended up spending 4 hours there and the time flew by and all the food and drink was timed out perfectly, once we got our head in the game, and was ready to order :-). Also, never once were we struggling to hear each other. This is definitely a very great thing. And to mention a very important part, the food and drink was excellent!!! And our waitress was beyond superior!!! We have been going to EdgeWild for several years and find it to be consistent in all areas. The food is always good, many of the staff have worked there for several years and that normally speaks volumes about a restaurant. 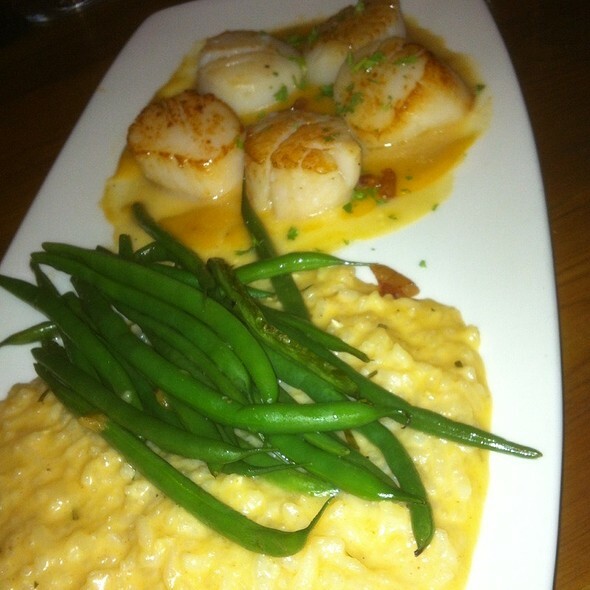 Good food, good service makes for an enjoyable experience. Nice variety of items on the menu. Our party of four was satisfied with all our choices. The service and food were great. I've been here many times and its always been a great experience. There were not very many people in the restaurant and it took over an hour to get us our food. The food was cool when it got there and the waitress was very slow. Spent $125 for dinner for three with drinks. Basically, all three diner thought the food was awful. Sorry about that...we have had a good experience in the past. 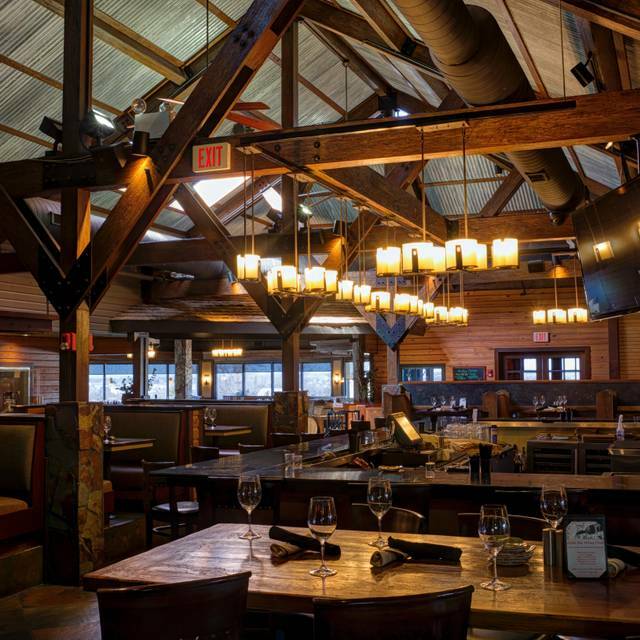 The staff was extremely friendly and helped me make sure the bill was split between my sister and I (to treat our parents). The server brought one incorrect mixed drink, but we think he probably misheard the order. Service was great and food was outstanding! I have a allergy to EVOO and they were extremely helpful in helping me decided what I could and couldn’t eat. Overall, a pleasant experience. Our server was a bit on the anxious side; I almost felt I had an obligation to insure we didn't upset her! The noise level was a little too high but not so bad that we couldn't carry on conversations across the table. I ordered the 8 oz ribeye, medium rare and it was perfect - the best steak I've had in a long time. The house salad was also very good - the blue cheese was an excellent pairing with the red wine vinaigrette. The downside to the food was the bison meatloaf my husband ordered. It was two thin, dry, overcooked patties, not the thick juicy slabs one usually associates with meatloaf. It was served in a thin juice rather than a gravy which was very messy and drowned everything else on the plate. Very disappointing. I would have sent it back but my husband is too worried about causing a scene so he won't ever do that. The last time we dined here my husband ordered the pork volcano and wasn't very thrilled with it either. The others that we dined with were pleased with their selections. I would recommend the restaurant to friends with the caveat to avoid the meatloaf and pork volcano! The food was good and very reasonably priced. The wife enjoyed the Riesling she chose which was EdgeWild's own brand so that's a bonus as well. Ambiance of the EdgeWild was good overall; however as more people arrived they seemed to get louder so this took away from the experience overall. Perhaps instead of music when it gets crowded they can look at white noice to compensate for some of this elevated chatter from guests. The service was amazing. Our waitress was so professional and always checked up on us and gave us updates on food and what not. Our waters were never empty either. The food was pretty good and it had a good atmosphere to the place overall. We ordered the app sampler/ charcuterie plate. It would have helped to have an explanation of what everything was. We also had a waiter in training. He did a really great job and we wouldnt have guessed he was in training. The girl he was shadowing didnt seem confident in him and was rather unsupportive. Pricy, but worth it. Our group had a bit of everything on the menu and it was all delicious. We’ll definitely be back for more special occasions! Group of 10 for a birthday dinner. Everything cane out at the same time and was delicious. Our waitress was excellent. Friendly, attentive, efficient. It was a great evening & meal for all, start to finish. We were looking forward to a nice family dinner out but had a pretty bad experience. The location of our table was unfortunate - next to the water station where waiters and waitresses kept going in and out talking and one frequently coughing. We could easily have look past that with a great meal experience, but really the only good food review from the table was the meat pizza. Two of has had the fish tacos - the tortillas were beyond soggy and not edible. On a positive note - our server was pleasant and attentive. The food was very good. The noise level was very loud which made it difficult to carry on a conversation. In addition the tables were so close together that it made it difficult for the servers to walk through and to take care of the tables. Service was bad. Waiter acted annoyed that he had to wait on us and visibly annoyed when we asked a question about one of the entrees on the menu. Appetizer was good but main dishes we less than average. We haven’t been in a couple of years. This experience reminded me why. I had the warm goat cheese with pistachios. An excellent share plate for up to 4 to nosh as a starter. The soup was fantastic. It was a creamy, rich smoked crab bisque. The flavors were brilliant. The Volcano pork shank was a meal. You could probably share with a light eater and be fine. Table service was nice and while the bar can be on the loud side during the first part of the evening, the dining room was intimate and peaceful. The quality of the steak was awful and totally undercooked/raw when brought out. The salmon was mediocre at best. Delicious food. Ended up there over happy hour so we got even more food. Sooo delicious! Our server Lisa was amazing! Very attentive, engaging and offered GREAT recommendations! 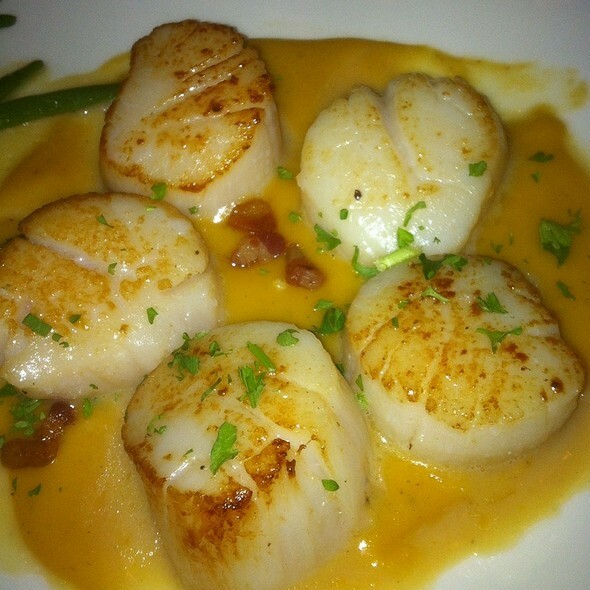 We had the scallops, the shrimp, the fish tacos and the house red blend. Can’t wait to go back!